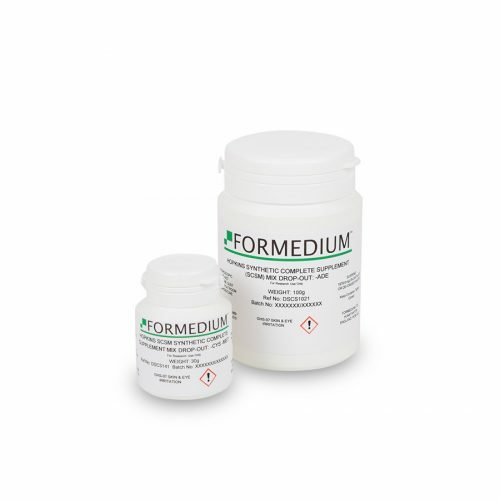 Drop-Out supplements are based upon a standard mixture of Amino acids, Vitamins and other components used to supplement encountered auxothropies. 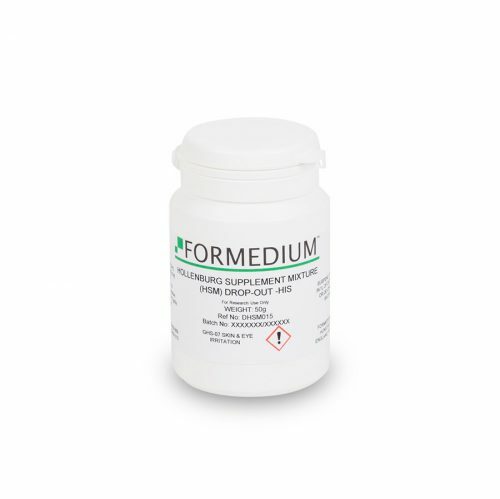 In each of the Drop-Out mixtures as provided by Formedium™ every component is provided except one or more supplements of interest, i.e. 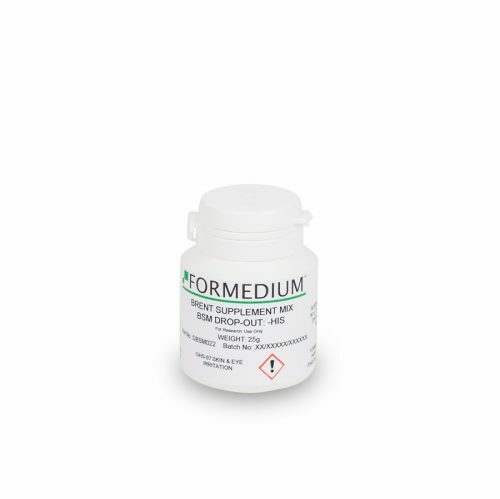 the “dropped out” supplements. 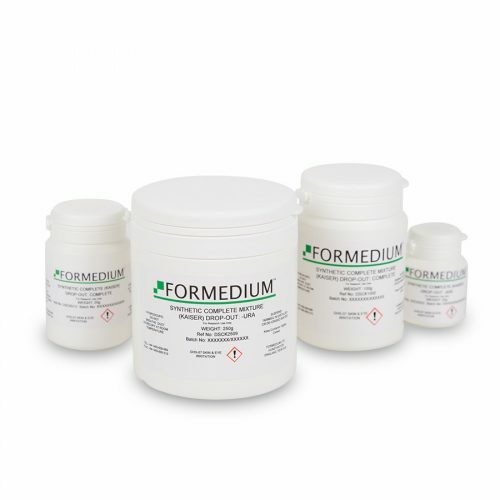 Formedium™ is producing five different groups of Drop-Out supplements based on five basic amino acid mixtures as described by different authors. 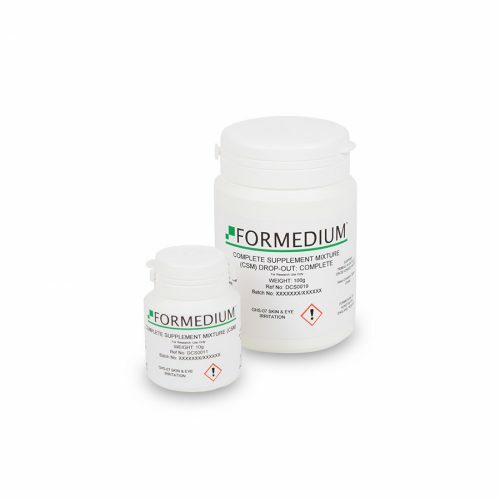 Each basic mixture supports optimal growth of yeast, but lacks one or more essential nutrients, useful to select for auxotrophic requirements and transformants. 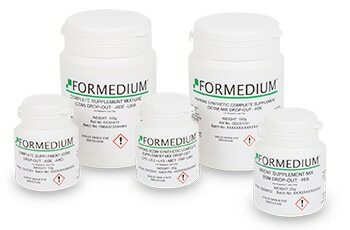 For more detailed information about all different Drop-Out formulations derived from each basic amino acid supplement mixture, please choose from the categories displayed below.